I have never been a fan of lipsticks due to their sticky constitution; or lipgloss, due to their nature of making lips looking plump. I have quite a full looking set of lips, so plumping them up will usually make me look like a psyduck. So my lips are probably the most untouched/bare area on my face - until a few months ago that I finally decided to try some lip tints from Korea's PeriPera line. 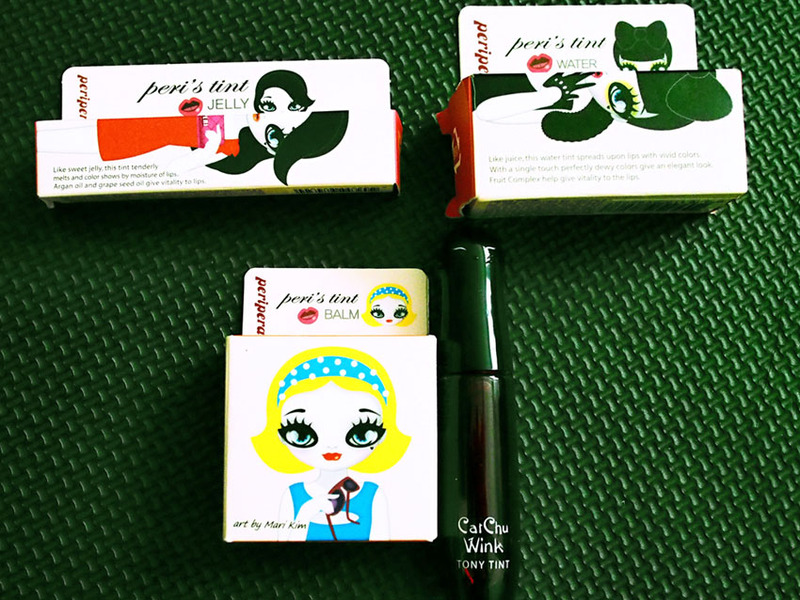 The first lip tint that I tried is PeriPera Water Tint in Orange Juice (above picture, top right). The color is lighter than the other 2 available shades of PeriPera Water Tint(Cherry Juice and Pink Juice) and since it is very watery, it is actually very easy to control the level of shade on your lips as you can easily spread/blend them out. With lip tints, I usually only dab a small area of my inner lips, then spread them outwards using my finger. (cotton buds work too, though you will probably lose a lot of color that way as the tint will more easily get transferred to the cotton buds). If you want a darker shade, obviously be more generous with the application, though be very careful, your lips will definitely look very orange. XD I prefer more natural look. The super cute packaging definitely helped me making my decision on purchasing more lip colors from their line. (Btw, the art is made by Mari Kim, who also designed the animated characters of Korea KPOP group 2NE1 for their music video I Hate You). The Peri's Tint Balm is equally adorable, although as with most balms, application could be somewhat troublesome (yes, dig your digits in there). There is the bold color in the shape of cute lips in the middle, and this is meant to be swirled along with the outer more transparent balm. The end result is moist blushy looking lips in your chosen color. My most used item though, is probably the PeriPera Peri's Tint Jelly, due to the simple and slim packaging and it is so easy to be applied with the most balanced shade as the end result (lighter than the Water Tint). I got myself the shade Mango. Note that the end color turns out to be peachy pink (see comparison at the end of this post). 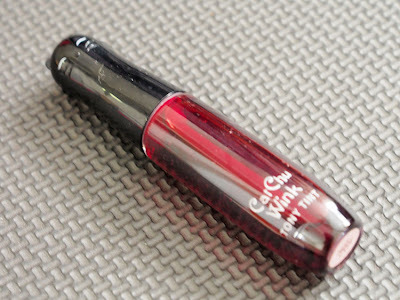 Then, I also bought myself a bolder deeper red color, but as I wanted to venture outside PeriPera, I chose TonyMoly Cat Chu Wink Tint in #2 Red (coughASuckerForCutePackagingcough). As with PeriPera Water Tint, it is easy to control the shade of the Tint with your finger. Little dab goes a long way, as the color is quite rich. (in my comparison picture, I managed to get the deep red color to be quite light and natural. Simply dab your inner lips, then spread out). All of the above can be bought at a shop at Gmarket, and Ebay. 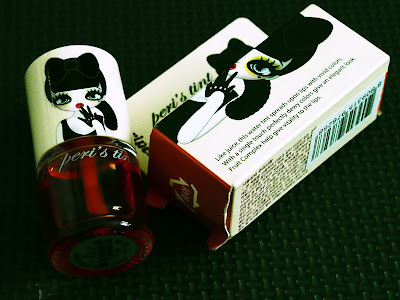 In term of ease of use and application, I heart PeriPera Tint Jelly. You can just use it as per your normal lipstick as it has similar packaging. 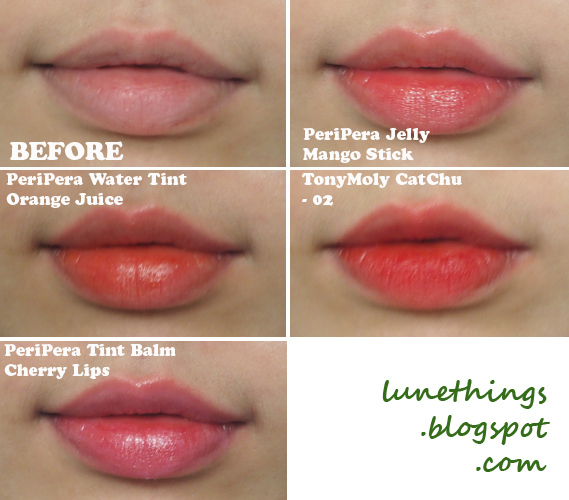 However, for bolder richer and longlasting color, definitely go for the Water Tints (either PeriPera or TonyMoly). I kid you not. These suckers stayed on my lips for at least 5 hours straight, even after drinking. Granted, the color become lighter every passing time after the first application, but you don't have to worry about pale looking lips for hours. (Try spreading the colors of the Water Tints on your lips using your finger, then try rinsing your finger with normal soap. You will have a field time rinsing it off. ).